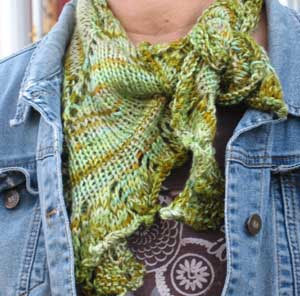 Sneaking in this picture of the Grace Akhrem Seaweed Scarf done in Twisted Sisters Petite Vodoo. This yarn is sock weight so I doubled it and ended up with a wonderfully drapey, silky scarf. sorry if I wear it too much....I fall hard when I fall. HA!